The festival, founded by Billy MacFarland and Ja Rule, was shamelessly promoted across social media by A-list supermodels and Instagram influencers (including Kendall Jenner, Bella Hadid, and Emily Ratajowski), as an exclusive, luxurious experience spanning multiple days on a private Bahamian island. The promos and Instagram ads were mesmerizing and suspiciously vague, using the brand hashtag #fyrefestival. Ticket prices ranged from $1,500 to over $100,000 for the “cultural experience of the decade,” and included airfare, gourmet meals, and luxury accommodations. Upon arriving, festival-goers were disappointed to discover that the “luxury villas” were actually disaster relief tents, the “culinary experience” was actually cold cheese sandwiches, the “branded jet experience” was actually a commercial 747, and the artists scheduled to perform were actually… nowhere to be found. Fyre Festival organizers, who were unreachable for help or clarity, released a vague statement that the festival had been cancelled, and a plethora of lawsuits were filed against the organizers and other parties involved. The chaos was chronicled by furious attendees, whose videos and photos spread like wildfire across social media platforms, making national news. Talk about trouble in paradise. 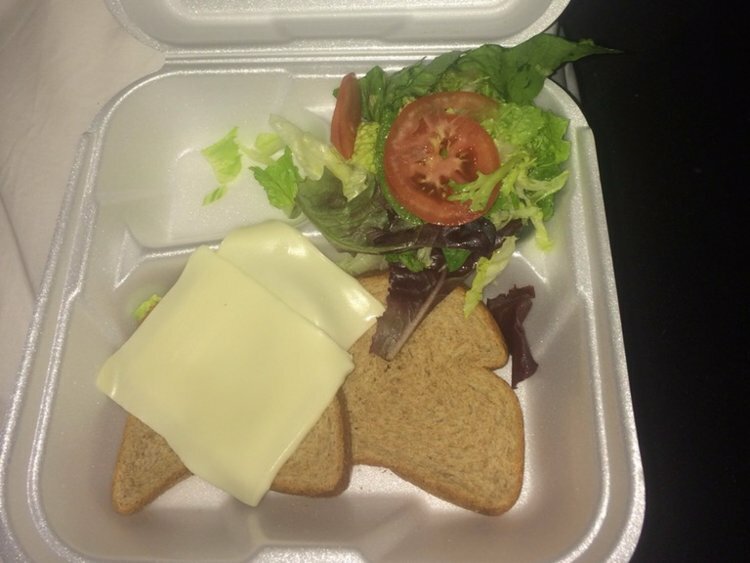 The infamous cheese sandwich photo that now symbolizes the failure that was Fyre Festival. 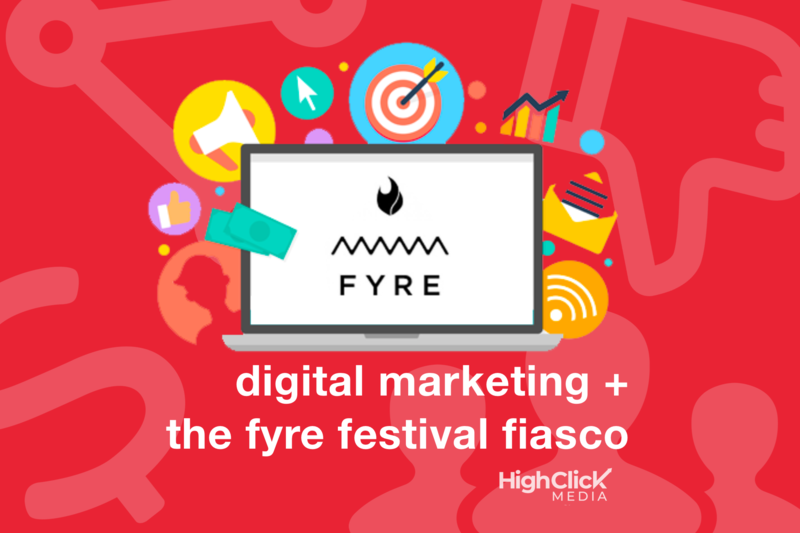 From a digital marketing standpoint, Fyre Festival demonstrates how powerful, and ultimately, detrimental, digital marketing (social media marketing and Instagram influencer marketing in particular) can be without a proper strategy in place. Although the festival was a disaster, it serves as an important lesson to brands and marketers alike, and we’re discussing what we learned below. 1. Never underestimate the power of experience marketing. Millennials prefer to spend their money on experiences over material things — and they are willing to pay extra for it. In fact, many brands already recognize this and are turning to experiential marketing to try to connect. Basically, this encompasses setting up opportunities for interaction, but with the brand and with other consumers, often through special events. Tickets to Fyre Festival promised more than a live music event. Promos for the festival heavily focused on providing an experience, implying that, if only for three days, attendees would live the same lifestyle as the celebrities in the SMM promos. From traveling to an exclusive destination on a private jet to partying on a yacht with supermodels to having the chance to win an actual buried treasure, Fyre Festival marketed the event as an organic, magical experience for it’s target audience. 2. If you make big promises, you have to hold up your end of the deal. Rule of thumb: don’t over promise and under deliver, or you risk ruining your brand’s reputation. Organizers of the event regularly refereed to the Fyre Festival as “an experience that exceeds all expectations.” Fyre’s audience consumed these promises for months on end, truly believing that the event would exceed their already high expectations. We already know what happened when Fyre failed to deliver, to say the least. Now, everyone associates the Fyre brand with fear, dishonesty, and chaos. RIP Fyre. 3. Influencer marketing comes with a price. Kendall Jenner snagged a sweet $250K for a single post promoting the event. Billy MacFarland spent millions on marketing and endorsements from famous celebrities and Instagram users, using up a majority of the budget. This careless spending left little to no budget for proper infrastructure, staff, and the artists. Now, this is not to say that influencer marketing isn’t effective- it obviously is. But successful influencer marketing all boils down to implementing a specific digital marketing strategy and doing what you say you’re going to do. We launched this festival marketing campaign. Our festival became a real thing and took [on] a life of it’s own. Our next step was to book the talent and actually make the music festival, and that’s when a lot of reality and roadblocks hit. We were a little naive in thinking for the first time we could do this ourselves. One surefire way to destroy brand trust and loyalty is to deny responsibility for an issue that’s clearly your fault. Successful brands are accountable for their actions, acknowledge their shortcomings, and don’t rest until they make things right. Transparency has been a popular term in marketing lately, and for good reason. Customers only want to cultivate relationships with brands they can trust; Brands that are honest, transparent, and authentic. Every brand makes mistakes, and accidents happen. However, deliberately misleading your target audience to make a quick buck will ultimately leave you broke as a joke, because if consumers can’t trust you, they’re not going to support your brand. McFarland admitted to launching Fyre’s multi-million dollar marketing campaign before the actual event organization was even a thought. Fyre organizers knew that they were in too deep long before the scheduled date of the event, but they made no effort to warn their ticket-holders. Fyre Festival’s marketing campaign was, albeit short-lived, a massive success. It was the product, not the marketing, that didn’t deliver. 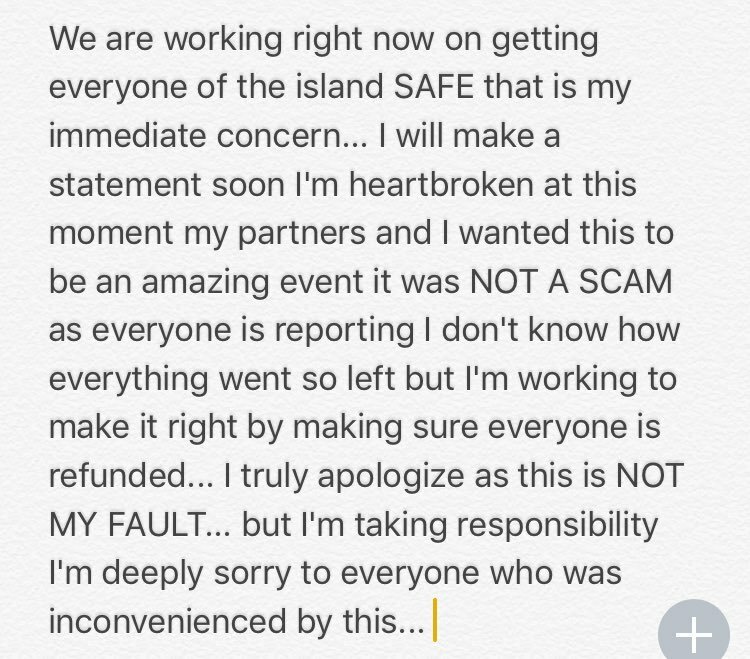 As of right now, the only influencer who has made an apology is Bella Hadid, Ja Rule is still desperately trying to defend himself on social media, thousands of Bahamian festival workers remain unpaid, and Billy MacFarland is in jail. The Fyre Festival turned out to be a total train wreck, built on fraudulent activity and lies, but one truth remains – social media is a powerful component of the digital marketing game. Curious as to how you can utilize social media marketing (SMM) to elevate your brand? Our expert team creates honest, authentic, and transparent campaign strategies to make your brand the best it can be! To set up a free consultation, reach out to us today! next post: Do I Need a Website for My Business in 2019?